On my continuous journey of ‘help me, I want to be a writer!’ I have sifted through numerous ‘self-help’ books, written by numerous authors, recommended by numerous friends and obtained through numerous ‘Reference Libraries’ in other books. So, who am I to spoil the tradition of recommending books that have been helpful. I would like to say I am being given bucket loads of dosh for promoting these books… alas, I am not. I have also listed a few books that were recommended to me, however, I didn’t find them as useful as those that recommended them. This is not to say that they are not useful tools, the books just didn’t work for me. Techniques of the Selling Writer – Dwight V. Swain: I found this book very good. I place it high on my list of books a writer should read. The Elements of Style – Strunk/White/Kalman: A little dated but still a very useful book. 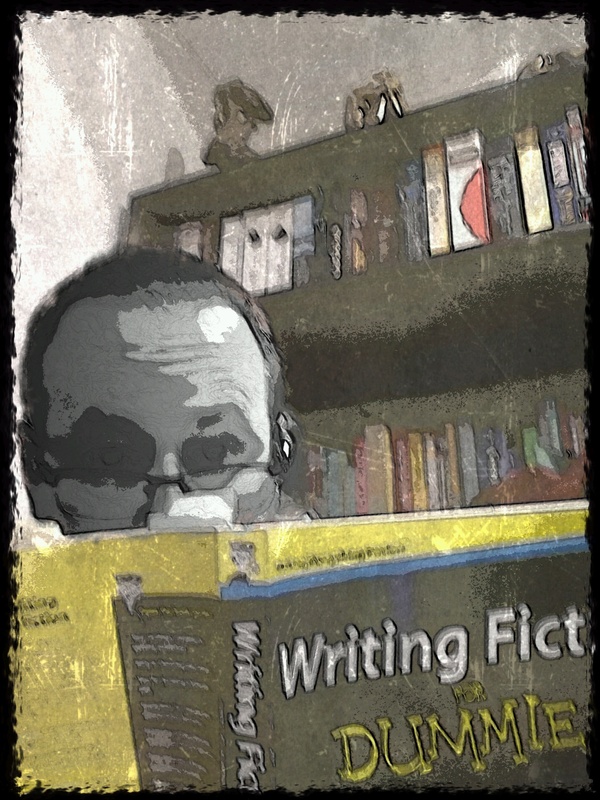 Self-Editing for Fiction Writers – Browne & King: A good book to read, the title says it all. Stein on Writing – Sol Stein: I found this a very informative book and place it high on my list of books to read. Planning Your Novel: Ideas and Structure – Janice Hardy: This is a great book that will help you with planning out your novels. This one is high on my list of books you should read as an author. Getting into Character – Brandilyn Collins: With some good tips for character building, this book opened my eyes to some things that I had not considered before. Writing Fiction for Dummies – Randy Ingermanson & Peter Economy: A very good guide for writers that covers pretty much everything. Missed Periods and Other Grammar Scares – Jenny Baranick: This book covers off on some common grammatical errors in an easy to understand way. It is written for a female audience, so some guys may struggle with it, however I found it a very useful book. Lets Get Digital – David Gaughran: This book covers off on how to publish ebooks. It has practical publishing advice; best practices on editing, cover design, formatting, and pricing; and effective marketing strategies that won’t eat into your writing time or budget. Write, Publish, Repeat – Johnny B. Truant and Sean Plat: This book delves into how an indie author can build a sustainable, profitable career with their writing. It can be very repetitive, but has got some good information inside and may help you come up with some ideas on how to develop your writing into a business. How To Market a Book – Joanna Penn: This book talks about values and marketing principles that can assist a writing career. It covers the use of short-term sales tactics, branding, content marketing, social networking, working with the media and more. I’m sure most people will find some value in this book. Stephen King – On Writing: I actually enjoyed the biography section of this book more than anything else, it was very interesting. Style Manual – Government publication: Written like a text book, this book is way too academic for me. Very technical and covers off on a lot of things in a lot of detail.